Blumenthal and Qayoumi with Assemblymember Jim Beall in Sacramento May 1 (Larry Carr image). The state’s top UC, CSU and community college leaders will head to Sacramento May 1 to voice what concerns all of us the most — state support for higher ed. 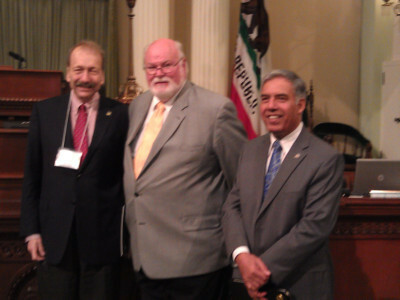 More than 200 advocates will take part in the Joint Higher Education Advocacy Day. Held annually, the event allows San Jose State to join with other colleges and universities to make our voices heard. 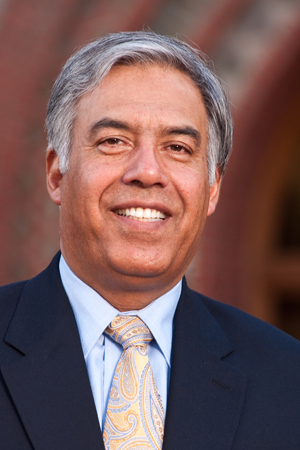 SJSU President Mo Qayoumi and UC Santa Cruz Chancellor George Blumenthal will stop by the offices of two state senators (Joe Simitian and Elaine Alquist) and four Assembly members (Jim Beall, Nora Campos, Rich Gordon and Paul Fong) where they will seek support for all three systems of higher ed. Their main point? Our colleges and universities provide the groundwork for the innovative economic and cultural powerhouse that is California. Qayoumi and Blumenthal will also seek support for Cal Grants, keeping our colleges and universities affordable and accessible to all. Be an advocate for SJSU.